Ease of Use: The provided worksheets guide the students through the simulation, and give students tasks to complete within the activity which will then allow them to answer the given questions. The introduction requires reading and does not have audio capabilities. Students with reading difficulties will need someone to read the material to them. This includes all the information included under both the concepts and the challenge tabs, as well as the provided worksheets. Educational Value: This simulation is very in-depth with a lot of material provided. It is a fun way to practice a fairly dry unit. Working though the material while interacting with the activity will increase student understanding of unit conversion, scientific measurement, and metric units. The provided worksheets include questions and explorations that go beyond the math, incorporating other subjects such as science and social studies. Appropriate Grade Level: This activity is geared toward middle and high school students. Students with reading difficulties will require the material to be read to them. Students with lower ability levels should complete this activity in a teacher-led group to increase understanding and confidence. Applications: Unit conversion is part of the Common Core algebra curriculum, giving this simulation relevance to many of the concepts taught in a high school algebra class. Metric units and unit conversions are important life and career skills for many students. 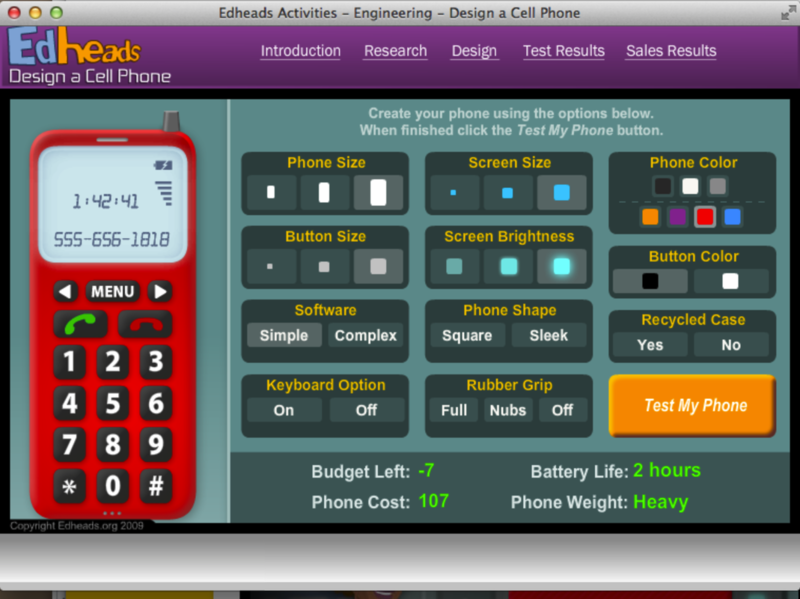 This simulation asks students to design a cell phone for a target audience. Students must research, design and test the cell phone, all while staying within a given budget. This game is challenging and may cause some frustration, but this is not necessarily a bad thing. One of the shifts in common core is to persevere when solving problems and this application is a fun way to promote this. Most students will need to rework their original model to meet the given parameters. Ease of Use: This simulation is not difficult to use. Directions are provided as students move through the activity. The challenge lies in the design itself and the student's ability to pay attention to details, redesigning as necessary and not giving up. Educational Value: This simulation is a very interactive, visual way to teach perseverance, following directions, budgeting skills, and attention to detail. A lesson plan/teacher's guide is included. Appropriate Grade Level: This activity is designed for middle school students but could easily be used at the high school level. Applications: This simulation would make a nice introduction to a lesson on solving systems of equations to determine which cell phone plan/company is a better deal given some basic information. It could also be part of an applied math unit on budgeting. *This site became a paid site while I was completing this assignment. This simulation is no longer free and cannot be accessed without paying for a subscription. While I thought this application would be useful in my classroom, there was not enough material on this site that related well to both my topics and my students to justify paying for a subscription. 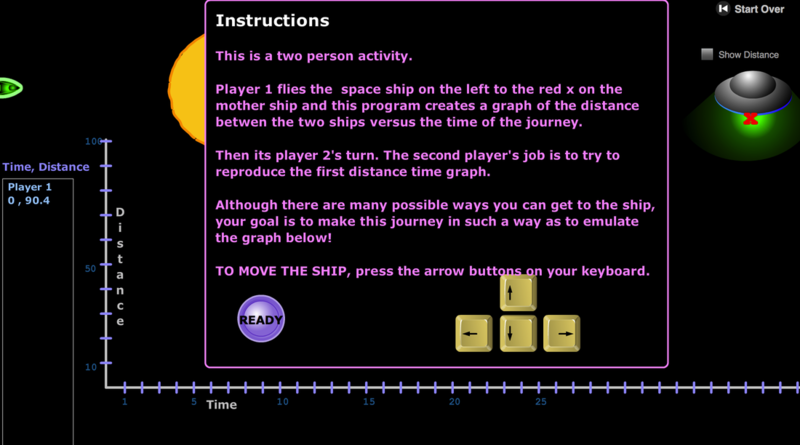 This simulation offers students the ability to create a distance vs. time graph by moving the rocket towards the mothership. As the rocket is moving, the motion is recorded both on the graph and in table form. This type of graph is very difficult for my students to understand and master. Because the graph is created as the student is moving the rocketship, it is easier to understand the effect the movement is having on the graph. 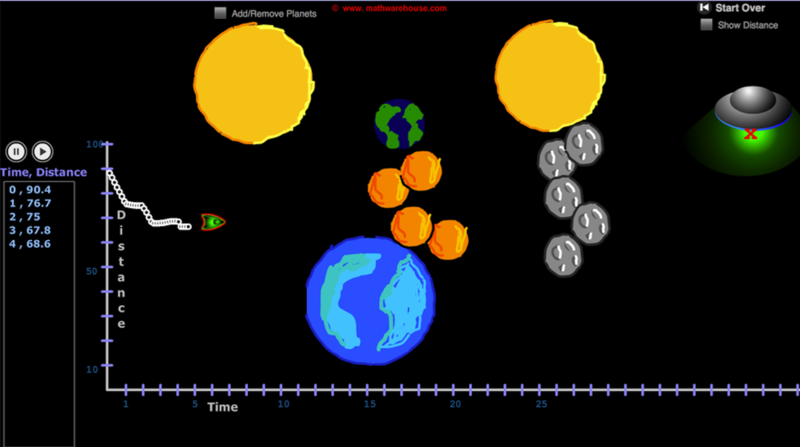 Once students are comfortable with this simulation, they can try the second one. This simulation takes what students have learned from the first activity and asks them to apply their knowledge. After the first student creates a graph by flying the rocket ship to the mother ship, the second student must recreate that flight by following the graph. These simulations were fun to play with but also challenging. Students that are able to persevere through the activities will learn a lot about how to graph distance vs. time. Ease of Use: The simulations themselves are very easy to use. The keyboard arrows move the rocket, and the goal is to get the rocket to the mothership before time runs out. Educational Value: This simulation is a very interactive, visual way to teach a difficult, abstract concept. A pdf of graphs is included for more exploration. Appropriate Grade Level: This activity is geared toward high school algebra students. While younger students may enjoy playing with the simulation, the concept being taught may be too difficult for them to completely understand. Applications: This simulation would be a great lead-in to Dan Meyer's Three Act Distance vs. Time videos. Giving students some familiarity and confidence with these graphs will lead to greater understanding and more value from these activities. 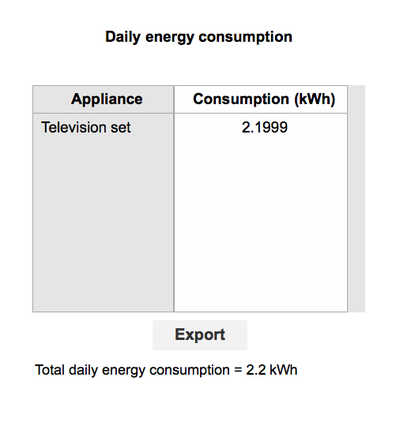 This simulation shows how much energy items in the home consume based on the amount of use. 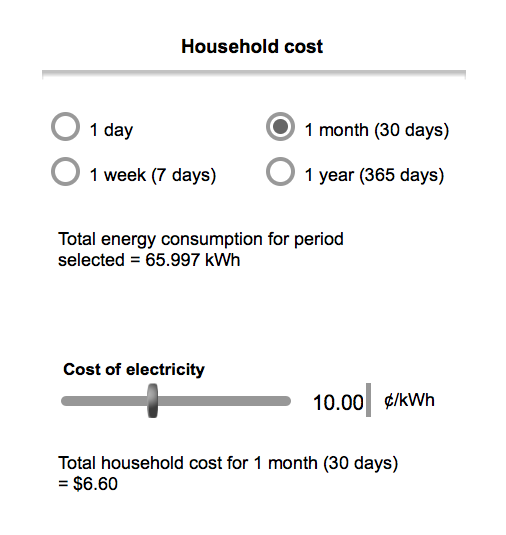 Students often don't realize the cost of using electricity. This gizmo is an easy way to explore those costs. Four basic rooms are available, the bedroom, the kitchen, the laundry room and the living room. Each is filled with normal household items that use energy. 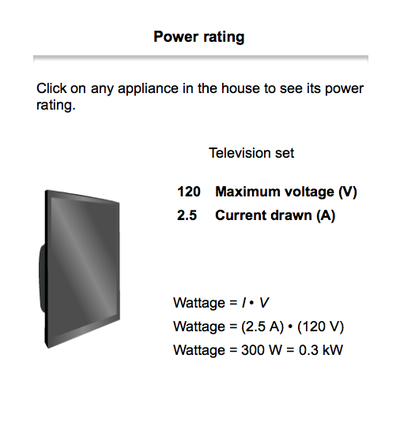 Students click on the items, and they appear on the power page on the right-hand side. 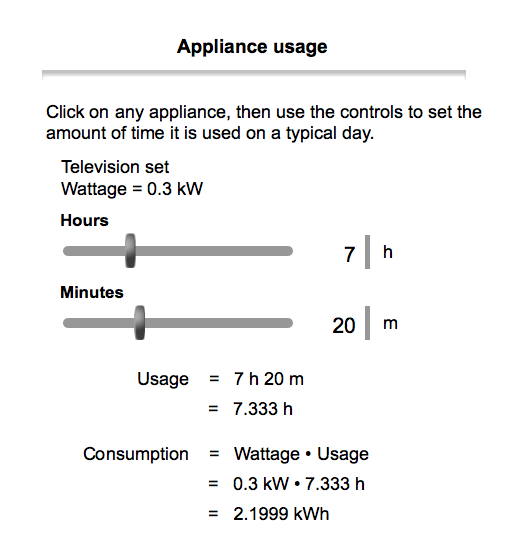 Clicking the usage tab lets them input how much time the appliance is in use during a typical day. 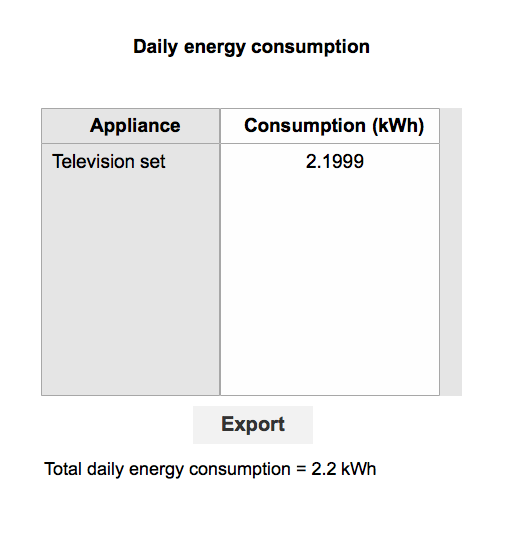 The consumption tab converts that use into kWh. The cost tab converts that usage into a dollar amount. Students can choose the cost for one day, one week, one month or one year. The cost of electricity can be adjusted to best reflect current prices. Ease of Use: This simulation is intuitive and very easy to use. Minimal directions are provided but are not needed. Exploration is the best way to figure out this gizmo. 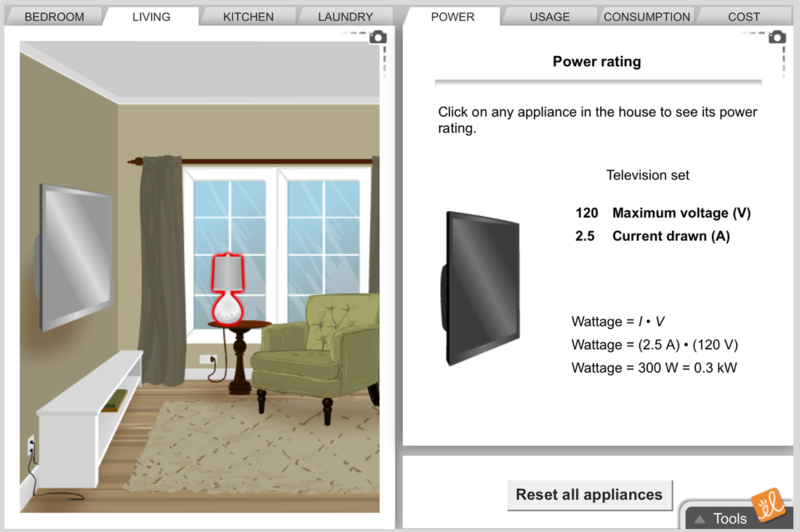 Educational Value: This simulation is a very interactive, visual way to show the cost of energy consumption in the home. Students rarely think about the costs associated with the use of electrical items and this app is a nice way to demonstrate those costs. Lessons and worksheets are provided. There is also a section with lessons created for this gizmo by other teachers. Appropriate Grade Level: This activity is geared toward middle school science students, but it could be scaffolded for upper elementary, and adjusted for high school students. This app is also very applicable to special education middle and high school students. Applications: This simulation would tie in well to the common core standards about reasoning quantitatively and using units to solve problems. Algebra students must be able to convert units, and this app could be used to teach this in an engaging way. Students could be asked to use proportions to figure out how much the cost would be for a different amount of time, such as six months, or twelve hours.